As a pediatrician, I work to keep children healthy so they can grow up and achieve their dreams. Occasionally, my naïve optimism has gotten the better of me. I especially have a soft spot for angry, defiant children. These children are given my undivided attention and respect and I expect the same in return. I never call them names, insult them, or label them. On the contrary, I have high expectations and am always encouraging them to be their best selves. I often hug them tight as their anger gives way to tears, reassuring them as much as possible. A decade ago, I took care of a blended family with three children by three different fathers. The oldest boy, Bobby, was an “angry” seven year old with wide eyes and an endearing, crooked smile. His mother was exasperated and demanded tranquilizers be prescribed to him or she would switch physicians. I asked Bobby what was going on. He talked about conflicts with his mothers’ new boyfriend and how he resented this man calling him lazy and stupid. He had tears in his eyes, which broke my heart. I talked to him about ways to deal with his anger and recommended a nearby family counselor. I hugged him, acknowledged his frustration, and told him he was neither lazy nor stupid. I reminded him to never give up on himself and no matter what happened, I would always believe in him. Needless to say, his mom changed physicians and I did not see Bobby again. 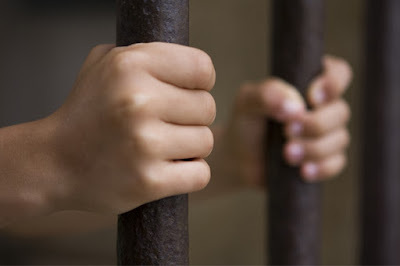 When children enter the Juvenile Detention system, they lose Medicaid insurance coverage. As a result, I was the consulting physician at our local juvenile facility. I cared for children who were addicts, thieves, vandals, and committed a variety of other crimes. I reviewed their health history, updated immunizations, and prescribed medications when necessary. It was difficult to reconcile my job as a physician looking into their eyes and seeing their fear, yet knowing I could do nothing to alleviate the obstacles they faced. My toughest day was the one when I unexpectedly ran into Bobby. I had been consulting over the phone with the RN at Juvenile Hall on a teenager who sustained injuries during arrest by coordinating care with a local specialist. Over the five day time period, I never asked his name. As the guard left to get Bobby, I told him, “Be prepared. I am going to hug this next one like he is my own son. I do not care what he did.” The guard gave me a funny look as he sauntered away. I had thought of Bobby so often over the years, yet had the sinking feeling things had been far from rosy. As Bobby walked through the metal double doors, I was struck by how much he had changed in both size and stature (now well over 6 feet tall.) We hugged as if no time had passed, “Bobby, you are so much more grown up than I remember.” He smiled with that same crooked grin I found so endearing a decade before. “You are so much tinier than I remember,” he replied looking down at me. Over the last decade, his mother and her children moved multiple times, had done their fair share of couch surfing, and Bobby had been suspended for misbehavior and truancy. A few months before his arrest, his mother kicked him out, he moved back to the area, was stealing, using drugs, and suspected his 17 year old girlfriend was newly pregnant. Crestfallen, I almost started crying, then and there. My dreams for this young boy from ten years ago were shattered into tiny little pieces. In my mind, at the tender age of seven, he had been a ball of clay ready to be molded into something beautiful. Instead, all hope had been extinguished from the young man who stood before me now. There was no sparkle in his eye; the devilish grin was all that remained of that innocent child I once knew. Honest to a fault, we talked about lost opportunities and lasting consequences of his poor decisions. I encouraged him to dream of a future outside of prison walls. I reminded him of how kind, warm, and genuine he was with a great deal to offer the world. Unprepared for my own feelings of sadness and disappointment, this experience hit me unexpectedly like a ton of bricks. 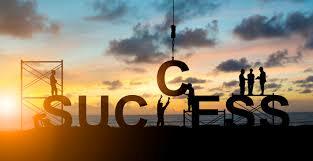 I have yet to recover the abiding faith that all children can achieve their dreams. It has been an extremely tough lesson to accept; yet it reaffirmed my commitment to continue encouraging, loving, and supporting each and every child who walks through my doors and into my heart. While I do not know where Bobby is today, I hope our brief encounter had as profound an impact on him and he did on me. Kiddo, I think of you every day and hope you are safe, know you are loved, and remember you have much to offer the world. As we move into the longer and lazier days of summer, I thought taking on a lighter subject this week seemed appropriate for the season. I have tried to take my children walking from time and time and it just has not worked out quite like I hoped. There were lots of complaints about feet hurting and such after the first mile and tackling steep hills nearby was unpleasant at best. However, this summer, my only daughter is finally old enough to not only engage in pretty deep and meaningful conversations but is enthusiastically joining me on long walks. A few nights ago, I found myself itching to get outside before the sun went down and my daughter insisted on joining me. Sometimes I get impatient because her little legs cannot match my grown up stride, yet the last few walks have allowed us to settle into our own comfortable rhythm. My time with her is so emotionally fulfilling that the physical differences have melted away. We took off together and she filled me in on her week at school (as I was out of town with one of my sons on a special vacation) and everything else I missed while I was away. She covered the pretend games she played and the good, bad and ugly of living with her three brothers. We were so intent in our conversation that we actually missed the fact my parents drove right past us. The only reason we became aware of this fact is they turned around and came back to check on us. We talked about our plans for the summer, which season is the slowest at my office, and the difference between maiden names and married names. It is really interesting what things a five year old can come up with to discuss. Then she said something that piqued my interest more than the anything else. “After we finish tonight, we have walked 7 and one half miles,” she stated with a proud smile on her face. Having only gone about a mile and a half, I balked. She expanded on her thought process a bit more. This was our third walk for the summer. The others were three miles each (we started out on those a bit earlier than this one.) Adding them all together she was spot on with her calculation. I realized she was, in fact, keeping track of our lifetime miles, though she called them “forever miles.” I kind of like that phrase. I let her know of my loving approval on her approach. Then the real calculating began, literally and figuratively. As we continued, she began asking what her reward should be when we reach 100 miles. At first, I tried to pass off the reward as being the time spent with her mom, but that went over like a pregnant pole-vaulter. I suggested some things, a few of which met with her approval. After mulling this over a bit more, she wondered what we should do when we reach 1,000 miles together? My answer was something to the effect that my reward would be “the book I get to write after 1,000 conversations.” She laughed and suggested a vacation was a far better idea. Regardless, it got me thinking about the fact that whether or not we reach 100, 1,000, or even 10,000 miles together in our lifetime, we will have time spent enjoying one another. Time is a gift we should all appreciate. 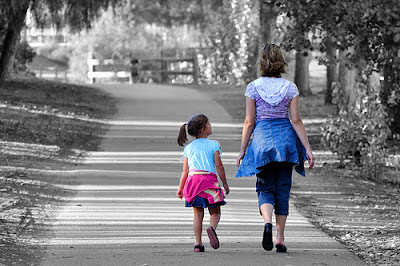 I am well aware of the fact in 10 years, she could recoil at the thought of taking a walk with dear old mom, but what if she doesn’t? I can only hope this is the beginning of something beautiful. At the very least, when she is fifteen, I can remind her of the awesome idea that formed in her impressionable 5 year old mind. Imagine the conversations we will have had after 1,000 miles with one another? It is going to be a great summer. Is the KentuckyOne Health Experience a Road Map for Kitsap County? In Louisville, Kentucky, Jewish Hospital is a 342-bed facility similar in size and scope to Harrison Memorial Hospital. It had knowledgeable physicians, engaged staff, a bustling emergency room, and solid patient care ratings. 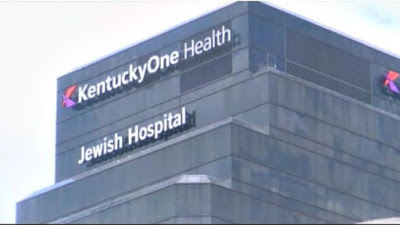 Due to health care reforms, Jewish Hospital, St. Mary’s Healthcare, and St. Josephs Healthcare (JHSMH) merged into one organization, KentuckyOne Health (KOH). To expand services further, a joint operating agreement between the University of Louisville Hospital, a private Cancer Center, and KOH was inked in 2013. University leaders supported this arrangement because the parent company of KOH agreed to invest over $500 million in the U of L facility. Unfortunately, due to unpredicted financial woes in 2014, KOH laid off 500 employees and left 200 open positions unfilled to yield $218 million in savings. Many physicians were concerned that “virtually all of the experienced nurses” were preferentially terminated. KOH contemplated closing one of their hospitals, ultimately shuttering an emergency room instead. Despite these measures, KOH registered an operating loss of $69 million. An executive team was assembled to focus on revenue growth and expense reduction. Vacant land was purchased nearby for “a new facility to meet the evolving needs of the community.” Does this story sound familiar? It should. The parent company of KOH is Catholic Health Initiatives (CHI), the same organization that entered our community a few years ago. Greg Postel, MD, U of L’s Vice President, warned KOH CEO Ruth Brinkley by letter “the number and quality of nursing staff has severely declined” since affiliation. He alleged these deficiencies damaged the U of L Hospital reputation and physicians were leaving due to “unsafe working conditions” for staff. He accused CHI of breaching the fiduciary obligations in the operating agreement, being $46 million in arrears. A complaint filed by the Vice-chair of Surgery, Dr. J. David Richardson asserted a decline in morale and inadequate staffing was compromising patient safety. “Patients are being held in the ER until enough nurses are available,” he wrote. In an interview with the Courier-Journal, Dr. Richardson thought the best resolution would be to “unwind” the joint operating agreement. “They [KOH] are destroying the hospital,” Richardson said. The following month, a state inspection confirmed nursing deficiencies had undeniably endangered patients. In December 2016, KOH and U of L Hospital terminated their agreement, releasing management of the U of L Hospital and the cancer center effective July 1. CHI anticipates $272 million in losses from this dissolution. Last fall, CHI began merger talks with Dignity Health, a company facing financial difficulties of its own with an operating loss in 2016 of $63 million across 39 hospitals. The same year, CHI operating losses were almost $500 million amongst 103 hospitals. Both organizations already carry higher than average debt loads, though with complementary markets, merging might be advantageous. Interested in affiliation, CHI implemented a “turnaround plan,” to bolster their negotiating position. However, 2 of CHI’s 11 “multi-hospital hubs,” the Louisville and Houston markets, are failing, necessitating relief from profitable markets like Ohio and the Pacific Northwest group. KOH eliminated 250 non-clinical positions in the interest of fiscal health last month. The most alarming actions by KentuckyOne Health is the termination of 25 professional service agreements of their employed physicians without justification. These are the very same physicians who sold their private practices to KOH just 5 years ago. Dr. Richard Holt, a spine surgeon, was affiliated with Jewish Hospital while practicing independently. He sold his practice to relieve the overwhelming administrative burden and was satisfied working at the hospital-based clinic, meeting productivity goals. Surprised by sudden dismissal, his last day is July 31. Sadly, he will retire because at 69, he is no longer willing or able to launch a private practice from scratch. After five years under the management of CHI, Jewish Hospital is being placed on the auction block, to “slim down” operations. After divesting of almost every hospital acquired over the last 5 years, they will concentrate on “opportunities for growth” elsewhere. KentuckyOne Health may be the red-headed stepchild, though we should not forget Jewish Hospital was a thriving community hospital before their ill-fated merger. The Pacific Northwest hospital group may be considered the “golden child” for now, but what happens if profit margins decline and further cutting costs is not feasible? The Jewish Hospital merger experience should serve as a cautionary tale for Kitsap County. Will our beloved community hospital be sold off five years from now or can we escape the same fate by devising a viable alternative for healthcare in our community? A recent Medical Economics article asked “Is the DPC model at risk of failing?” The piece focuses on two large DPC-like organizations, Qliance Medical Management of Seattle, Washington and Turntable Health of Las Vegas, NV, working in partnership with Iora Health, which recently closed their doors. Qliance and Turntable were not actually DPC practices by strict definition; they were innovative large business operations providing healthcare services to patients and excluding third party payers. Their idea was commendable, but their closure indicates little cause for concern in regard to the growing Direct Primary Care movement. Robert Berenson, MD, who admits to not being a fan of the DPC model, said “Qliance has been the poster child for DPC… If that one can’t make it… it suggests the business model (of DPC) is flawed.” He is correct about one thing; the “business” model of medicine is certainly flawed. What he does not realize is DPC is not a “business” model; it is a “care” model. Whether accepting insurance or DPC in structure, we already know solo and two-physician practices deliver the best care and have been doing so for the past 100 years. These intimate clinics know their customers better than anyone else in the industry, and can devote the time necessary to their clientele; these micro-practices should be known as the small giants of healthcare. Strictly defined, Direct Primary Care is where a patient and physician enter into a contract to provide unlimited primary care services for an affordable monthly fee (less than $100/month.) 80% of healthcare needs can be met in a DPC practice. The typical DPC practice has 1 or 2 physicians, 600 patients maximum per physician, and on average each physician sees 10 patients per day. Employees are minimal, usually including a receptionist and/or medical assistant. Only minimal office space is required to run such a lean operation, so overhead remains low. Supplies, medication, and equipment are purchased on an as needed basis and used only when necessary. Qliance, founded in 2007 by Dr. Garrison Bliss and Dr. Erika Bliss, charged $64/month for adult members and $44/month for children. They had 13,000 patients in total including primary care and emergency care services, more than 20 times the number of patients compared to a traditional DPC clinic. They were trying to use a model embraced by the small giants yet contort it into something entirely different simultaneously. After 10 years, the experiment failed. Iora Health, vying to become the “Starbucks” of healthcare, was in partnership with Turntable Health utilizing a “team based” concept. Each “team” included a physician, nurse, and a health coach. This model contracted with individuals, but also employers and unions already paying for healthcare by offering improved access to primary care services and pocketing a portion of the savings that materialized. In this model, physicians usually had 1000 patients and each health coach with a few hundred. Turntable charged $80/month for adults and $60/month for children to have access to their vision of a “wellness ecosystem”, which included yoga, meditation, and cooking classes. An article in the New York Times quoted Duncan Reece, the VP of Business at Iora Health, “We wanted to do something radically different and show this isn’t your grandfathers’ doctor’s office.” Can someone please tell me what was wrong with that model? It was a quintessential small giant of the business world. My grandfather was an outstanding general practice physician with a small office and one nurse on staff. He made house calls. He did appendectomies, tonsillectomies, C-sections, vasectomies, and met most of his patients’ basic primary health care needs for 40 years. Why do we need something radically different? The bottom line is healthcare requires two people – one physician and one patient. While it is a nice idea, we do not need yoga, massage, or smoothie bars in our clinics to improve patient outcomes. Adequate medical knowledge and time for meaningful conversations is essential; something the small giants of healthcare are experienced in providing. The vision of a “wellness ecosystem” should probably go the way of the “patient-centered medical home,” as there is little cost savings or difference in outcomes compared to the traditional fee-for-service system. So what qualities make the best practices? According to a study conducted by The Peterson Center on Healthcare at Stanford, the very best primary care practices have either one location or a small handful of them. Stanford compiled a list of 10 distinguishing features of these top practices and many are commensurate with being a “small giant” of the business world. My favorite characteristic on the list is to invest in people, not space or equipment. By lowering overhead, physicians are not relying on patient volume to generate adequate income. These practices are consciously choosing to stay small by renting minimal space and investing in added services only when believing them to be more cost-effective. While my practice is not DPC, it is a small, old-fashioned clinic serving families for as long as three generations. Our records are still on paper, a real human being answers the phone when it rings, and for occasional emergencies, patients stop by my house for a “reverse house call.” My belief in the DPC model is steadfast because any “care” model placing control directly into the hands of physicians and their patients is worth fighting to preserve and protect. The more small giants able to thrive in the constantly evolving healthcare landscape, the greater chance physicians have of inciting a large scale revolution to benefit patients everywhere. Since the Affordable Care Act legislation went into effect, mergers and consolidations have increased by 70%, at the expense of care becoming less personalized and increasingly fragmented. These large institutions are profit centers for CEO’s and business executives who have very little knowledge of what goes on between a physician and a patient. They need the independent practice model to fail so patient choice is no longer an option. The small giants, micro-practices and DPC clinics, will continue to prosper and grow because a “care” model devoted to preservation of the physician-patient relationship cannot be defeated. Physicians must stop being afraid to take that leap of faith, leave employment, and go back to doing what we love most, caring for our patients and improving their lives. Physicians should be standing at the bedside, not in front of computer workstations. Direct Primary Care is a model for which we should all be rooting; it is transforming the physician-patient relationship and restoring the practice of medicine to its noble roots, allowing for the art, the science, and the wholly fulfilled physician. My advice for patients everywhere: Whenever possible, find an independent practice, whether a solo doctor or direct primary care clinic, and patronize that physician. Your care will be more personalized, cost less in the long run, and your health will be better for the investment you made in yourself.